Tickets will go on sale this November. Brelby is pleased to be continuing our efforts of showcasing the work of local playwrights. 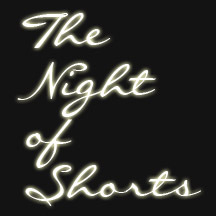 In our 3rd Annual Night of Shorts, we’ll continue to bring you interesting, quirky and exciting pieces of short theatre. 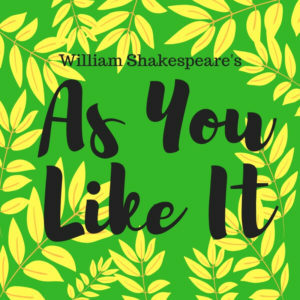 “As You Like It” is a play of passion, transformation, and deceit. Rosalind is banished, wrestling with her heart and her head. With her cousin by her side, she journeys to a world of exile where barriers are broken down and all can discover their deeper selves. Most incarnations of Robin Hood end when Richard comes home and we believe that Robin and Marion are living happily ever after. But what happens after Happily Ever After? 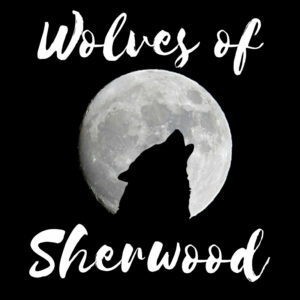 In Wolves of Sherwood, Richard the Lionheart is dead. Robin Hood & Marion have a son, Cassian, intent on making his own legacy. Friar Tuck is the pseudonym of a spy for the outlaws. Sir Guy of Gisbourne has brought his daughter, Ravenna, to Nottingham to make a marriage of alliance with Sheriff Josselin DeClaire. And DeClaire has hired an Assassin to annihilate the outlaws in Sherwood once and for all. Jasper is lost in the living world. When you’re failing classes, kicked off the swim team, and your family is on the skids, life can feel like it’s going to hell. Yet, in all the disappointment, Jasper has his best friend, Agnes. 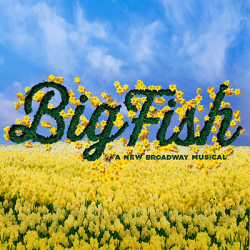 In one night of teenage passion, Jasper and Agnes consummate a years-long friendship. But in the morning Agnes is gone, telling Jasper to meet her at their cliff. When he arrives there’s no sign of his best friend, only a swirling vortex to another world in the water below. 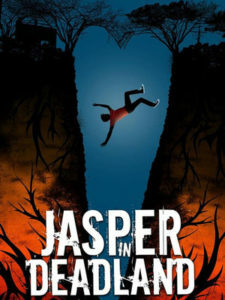 Jasper dives into Deadland. 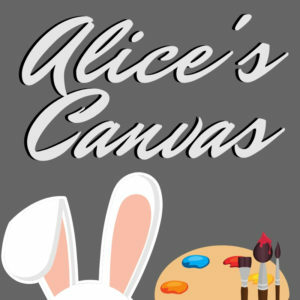 In Alice’s Canvas, our heroine is facing the challenge that many soon to be college graduates are…what will be waiting for her beyond receiving her diploma? When the subject of Alice’s final exhibition piece suddenly disappears from her painting, she finds that her future art career may be in jeopardy. She follows him into a world of wonder, beauty, bizarre characters, all inspired by her career as an artist. When she is tasked with taking on the greatest villain in all of Wonderland, will she save the day or crumble under the pressure? 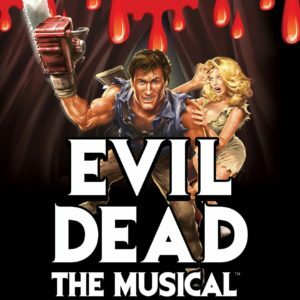 Evil Dead The Musical takes all the elements of the cult classic films, The Evil Dead, Evil Dead 2, and Army of Darkness and combines them for one of the craziest, funniest, and bloodiest theatrical experiences of all time. Five college students go to an abandoned cabin in the woods, and accidentally unleash an evil force that turns them all into demons. It’s all up to Ash (a housewares employee, turned demon-killing hero), and his trusty chainsaw to save the day. Blood flies. Limbs are dismembered. Demons tell bad jokes… and all to music. Screening on Friday and Saturday nights in October, with a special Halloween viewing. 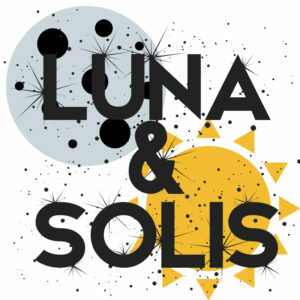 The sun and the moon have loved one another from afar for eons, but their responsibility to humanity keeps them apart. They are only able to meet in person during an eclipse, when they take corporeal form. However, eventually they grew weary of putting the lives of humans above their one happiness, and decide to run away together during the latest solar eclipse. What will humankind have to do to restore the balance? 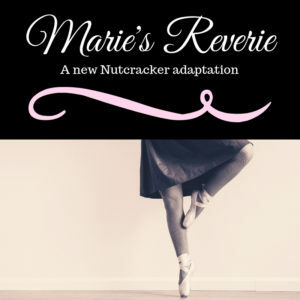 Marie’s Reverie, is a new adaptation of the classic Nutcracker tale. Marie is an aspiring dancer, haunted by dreams from her past. Her family convinced her that the bizarre adventures with a wooden soldier, through a land of sweets and snow were the musings of an imaginative child…but what if they weren’t really dreams? It’s The Nutcracker meets reality as Marie must decide if she will rescue her childhood friend from a terrible fate, or succumb to the belief that he never existed at all.